Lamborghini has released a special short film to showcase the new Huracan wherein it alerts drivers to the idea that they now ‘own the sky’. The catch phrase is to make drivers fall for the Lamborghini Huracan spyder in all of her drop-top glory. Do they actually own the sky? No. Will it feel like it when the wind of 610 horses whips them right in the kisser? You betcha. 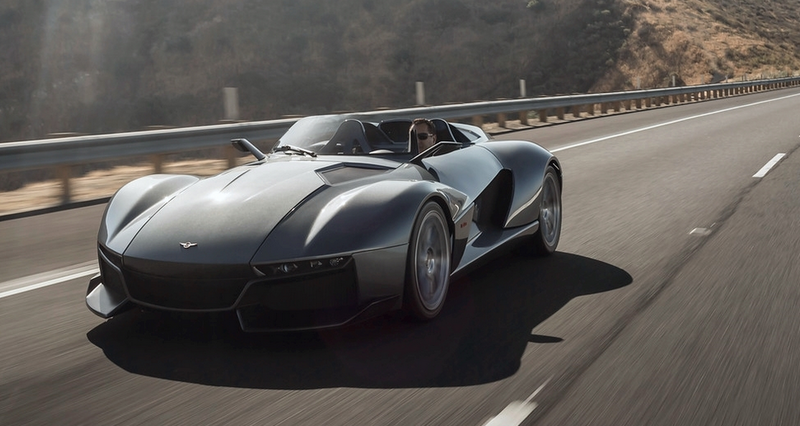 Is The Rezvani Beast Really All That It Is Cracked Up To Be? The Rezvani Beast greets you with an aggressive stare when you enter its domain. And by domain I mean website, where it is perched on display to tantalize viewers with all of the pertinent information about how it was created and what it is capable of achieving. The site claims she is the ‘Supercar reinvented’ and according to the specifications and brilliant photos, most would have to agree. The Rezvani Beast is out to challenge the notion of what a supercar should look and feel like. Is she doing a good job so far? (All photos ©Rezvani motors). Lucky bystanders at a track in Imola, a providence of Bologna, Italy, recently had the pleasure of seeing a group of rather colorful Lamborghini Aventadors. The throaty roars of the Aventadors engulfed the track in shades of red, blue, green, yellow and gray. It was like a box of very expensive crayons, but the sound was far from nails on a chalkboard. The sound of several Lamborghini Aventador supercars ripping around the track in unison is incredible!